These projects were notable for being fast tracked and not normally manned designs. From the last delineation well to first gas was less than two and a half years, which included gas contract negotiations, project justification, contracting, design, construction, installation and commissioning. 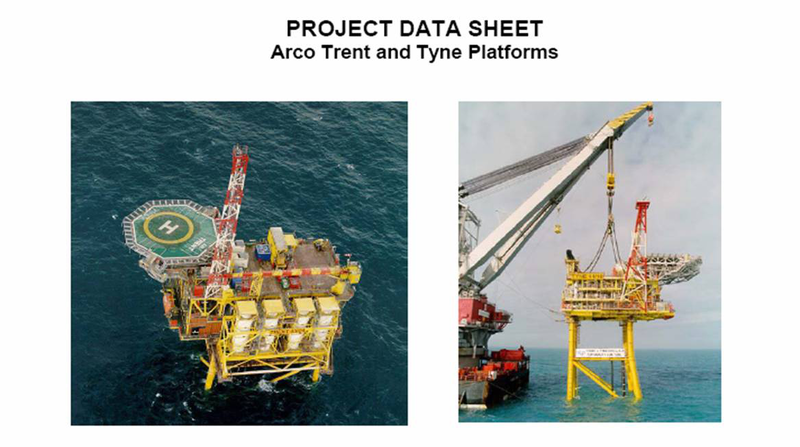 Also, these large facilities extended a trend which ARCO British pioneered of demanning facilities. Despite being complex installations with a full suite of processing kit, including water/gas/condensate separation, hydrate and corrosion inhibition systems, compression, etc., these installations were designed to be remotely operated from a shore base over 100 miles away.